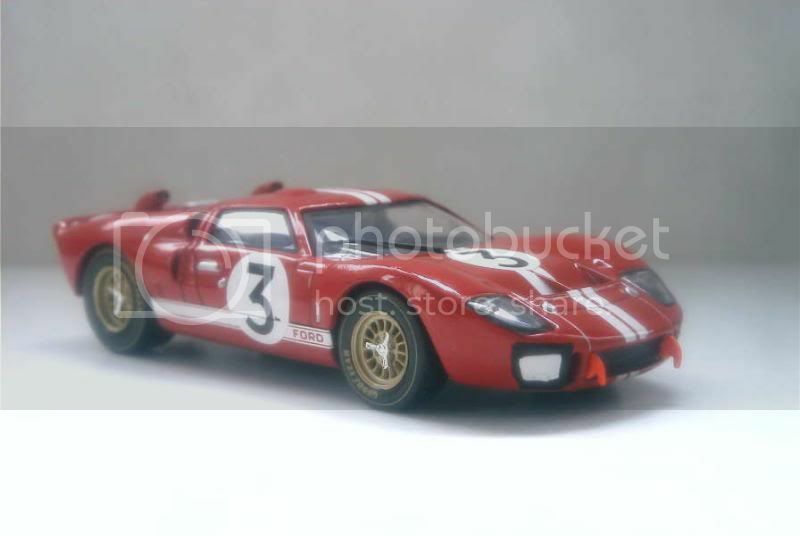 As the story goes, what would become the most successful American racing sportscar in history was born out of Ford’s resentment to having been turned down by Enzo Ferrari while attempting to purchase the old man’s famous company. Revenge would be sweet if the Dearborn giant could beat the Commendatore’s small outfit on its own grounds. Enzo Ferrari cherished endurance races above anything else, well above Formula One actually – this would be right where Ford would defy him. 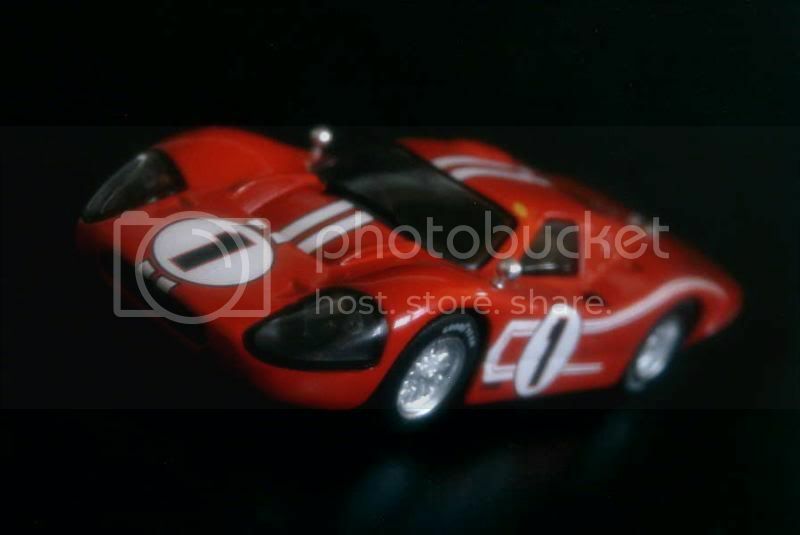 The clearly stated objective was to win the Le Mans 24 hours, in which Ferrari was triumphant since 1960. 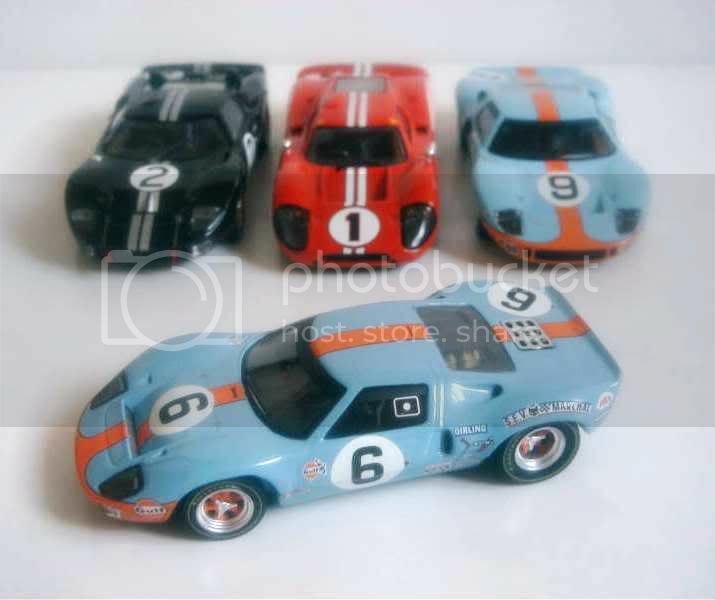 Though Ford has huge resources at its disposal, it had absolutely no experience in sportscar racing. The American company therefore shopped for the most valuable partners available, recruting John Wyer, the team manager who had led the Aston Martin team to a brilliant victory at Le Mans in 1959 ahead of the Scuderia cars, and acquiring the services of Eric Broadley, Lola’s founder. A few months before, Broadley had unveiled the Lola GT, a fibreglass coupe powered by a centrally-mounted engine – a V8 borrowed from the Ford Fairlane… Great promises were perceived in this sleek little car. Though Broadley refused to see Lola directly involved in Ford’s racing program, he accepted to personally cooperate on a short-term basis. 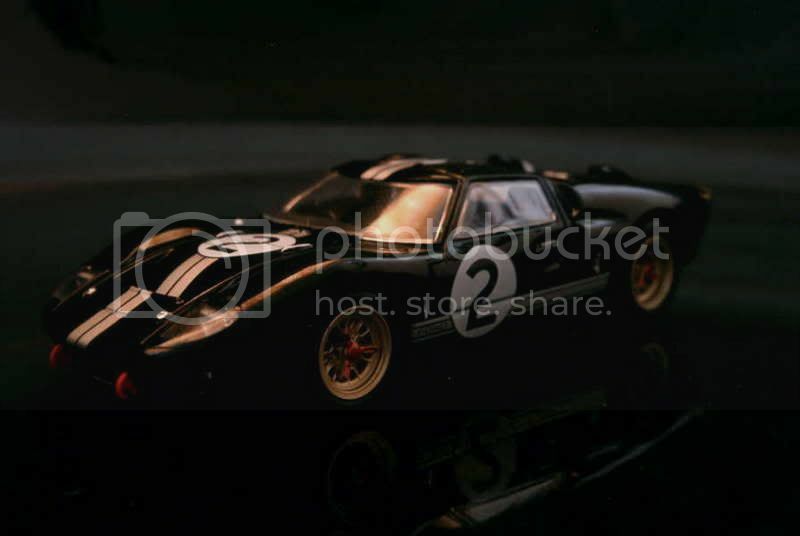 Progressing at a high pace, the “Ford GT” project was already quite advanced when the Lola GT was entered at the 1963 Le Mans race, and though it ended up in smoke (literally), it was able to put up a potent demonstration beforehand, comforting Ford in its technical choices. By the end of 1963, Broadley ended his direct involvement and the project was moved from Lola’s factory to a plant set up in Slough near London by a specially-created division of Fomoco, named Ford Advanced Vehicles. 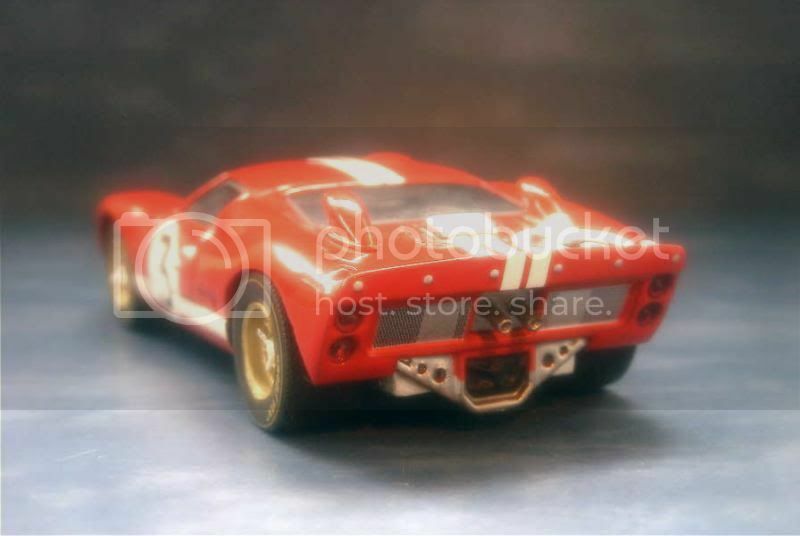 By the spring of 1964, the GT40 was ready to race. 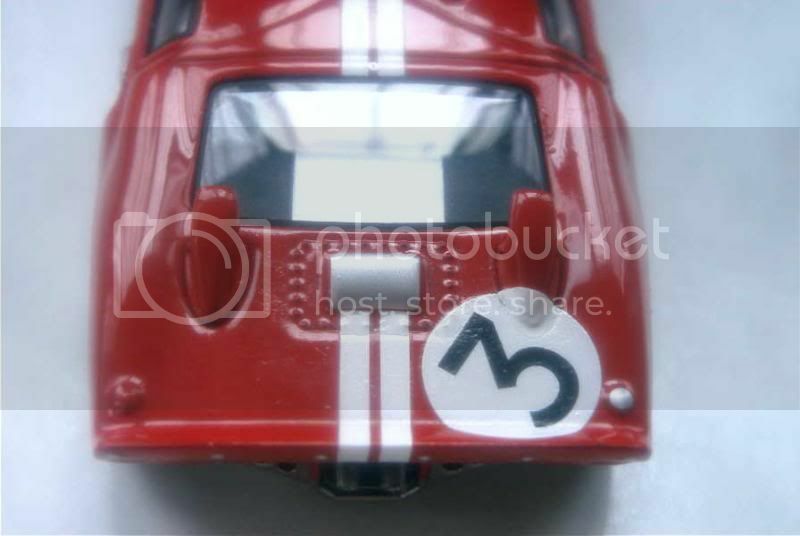 Despite all of Ford’s efforts and investments, the beginnings of its touted sportscar were difficult. 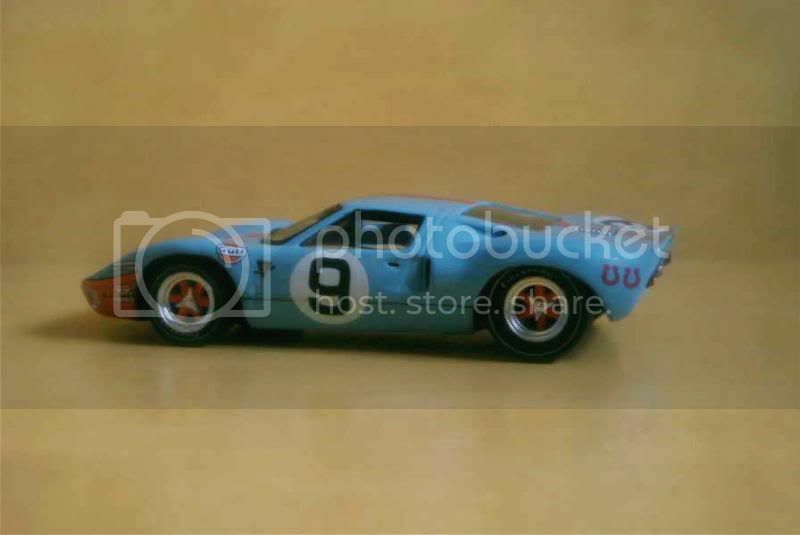 The GT40 was fast indeed, but all too often unable to reach the finishing line. After a dismal 1964 season, Ford installed Carroll Shelby, of A.C.-Cobra fame, at the helm. 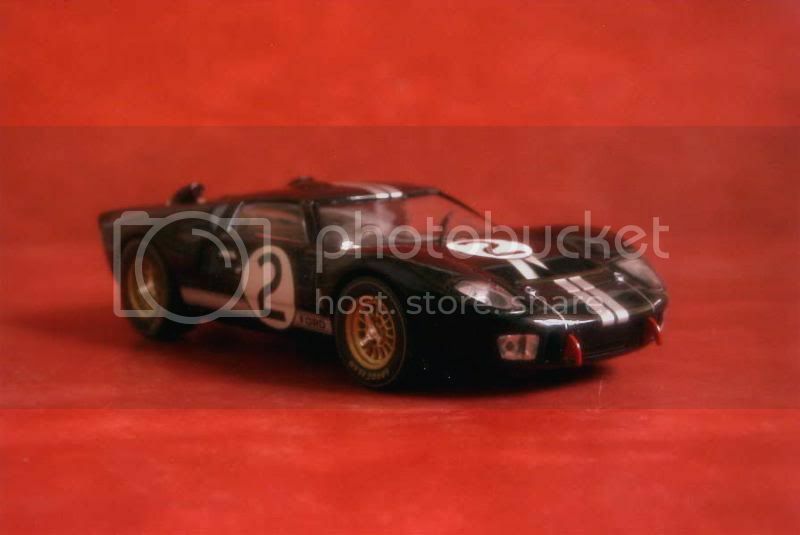 Things slightly improved, a GT40 winning at Daytona early in the season, but failing again in most other major events. Ferrari remained victorious, and the American effort started to raise some smiles in the Old World. 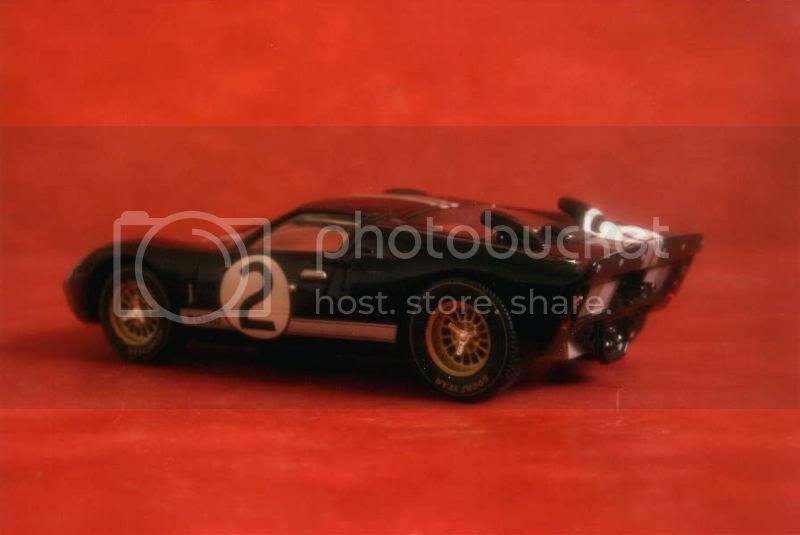 For 1966, a new GT40 Mk.II was unveiled. Thanks to this improved version, benefiting from a huge 7-litre engine, fortune started to smile at Ford. The Mk.II dominated the season, most notably taking a historical win at Le Mans. For this latter race, a specially designed J-Car, with refined aerodynamics and all-new chassis, had even been designed, but not raced after the tragic death of its test pilot Ken Miles occurred during its development. Some characteristics of the J-Car were used to design the Mk.IV for the 1967 season. It ended with another Ford triumph. Having nothing more to prove and being one of the major teams targeted by the new rules in effect in 1968, Fomoco decided to pull out of endurance racing. 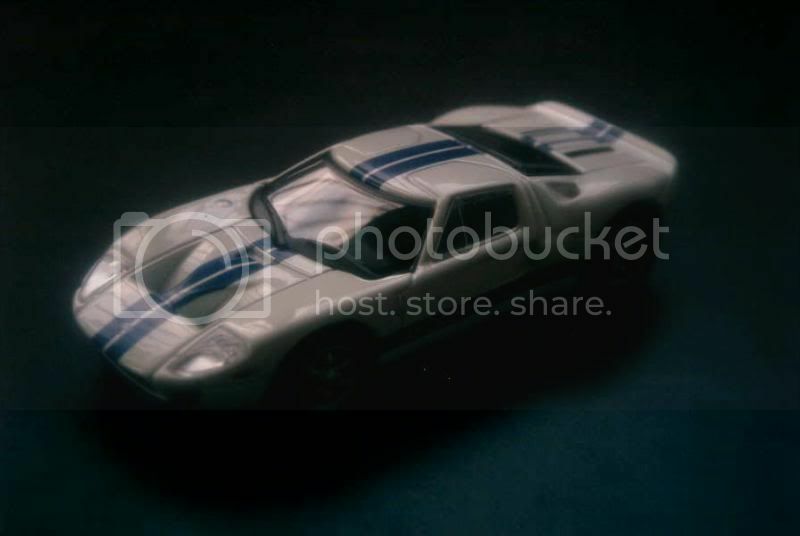 Some were still seeing some potential in the GT40. Though its most recent versions were now outlawed, the older Mk.I respected the requirements of the new 5000cc Sport class. Many privateers continued to race GT40s with various degrees of success, but none as brilliantly as the stubborn John Wyer himself. 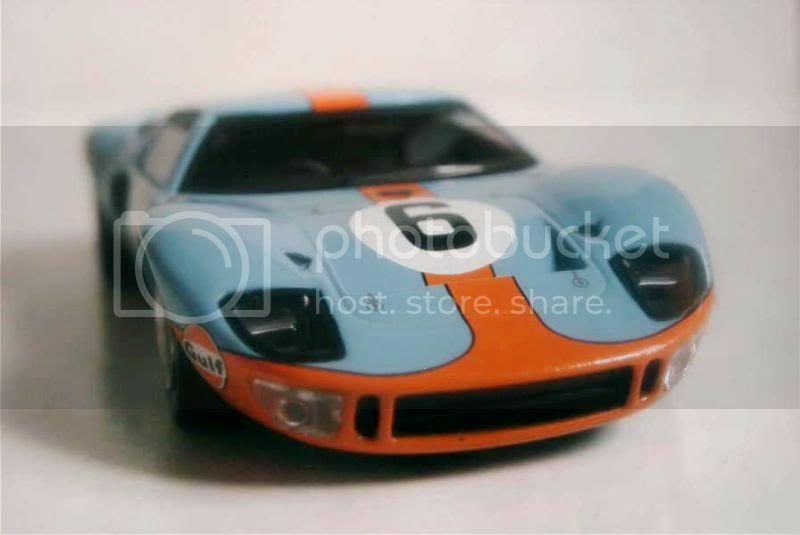 With Gulf’s support, Wyer allowed the ageing car to remain one of the major contenders in endurance for two more seasons, and also scored two more wins at Le Mans for Ford. 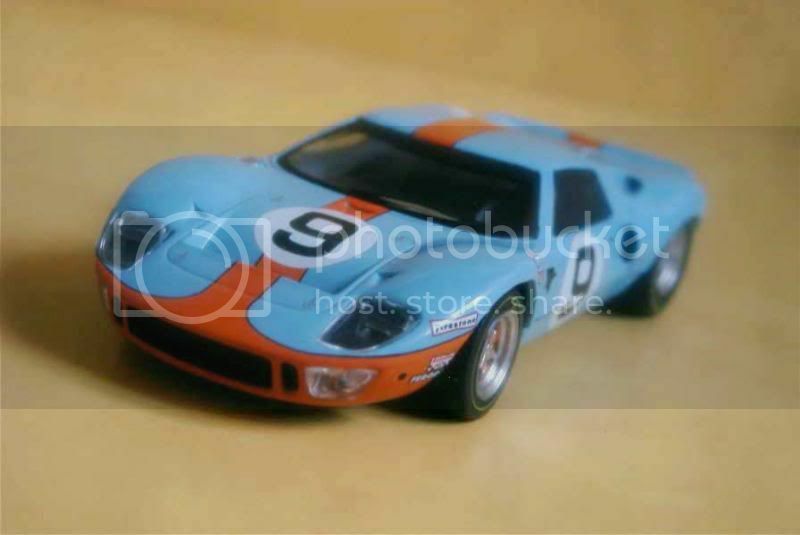 In 1969, the manufacturer’s fourth straight success was a narrow one, Jacky Ickx and Jackie Oliver beating the Porsche 908 of Gérard Larrousse and Hans Herrmann by a tiny margin in the race’s very last lap. Though insufficiently prepared yet, the new Porsche 917s had dominated the beginning of the race. 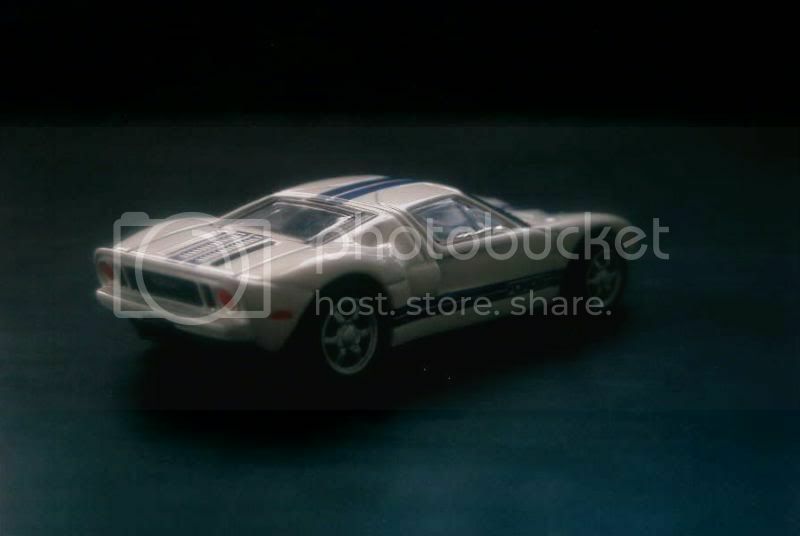 It was clear that the GT40 wouldn’t be able to follow the pace in 1970. 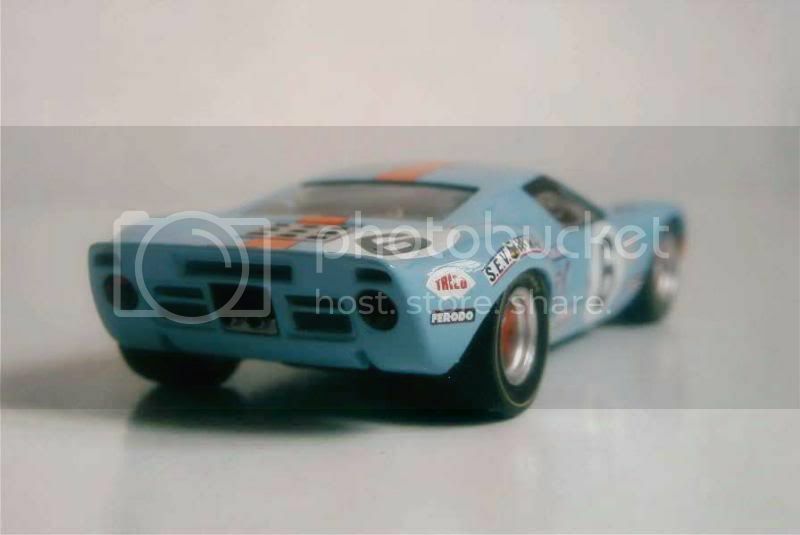 Wyer and Gulf carried on with their successful partnership but switched to the 917, while only a few private teams entered GT40s until the end of 1971, when FIA’s rules definitely excluded all prototypes with engines displacing more than 3000cc. This could have been all, if not for the wave of nostalgia which engulfed the automotive industry from the Nineties on. 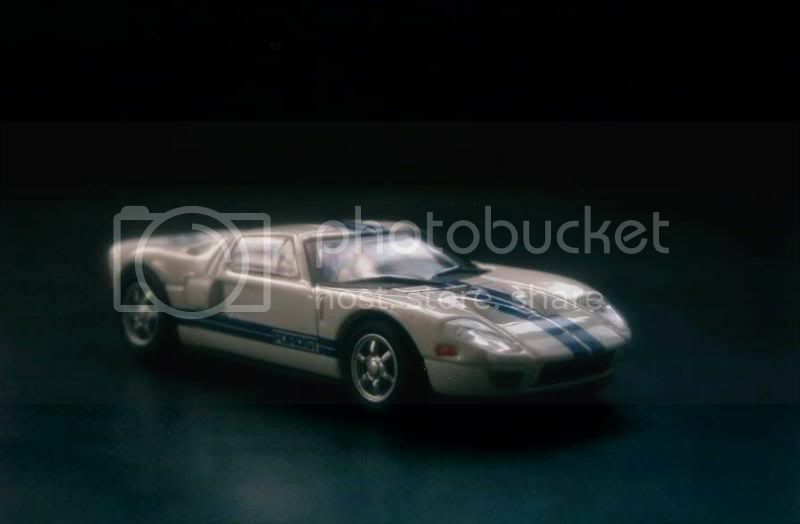 During the 2005 Detroit motor show, Ford presented a modern GT40, which closely mimicked the style of the original but was larger overall. 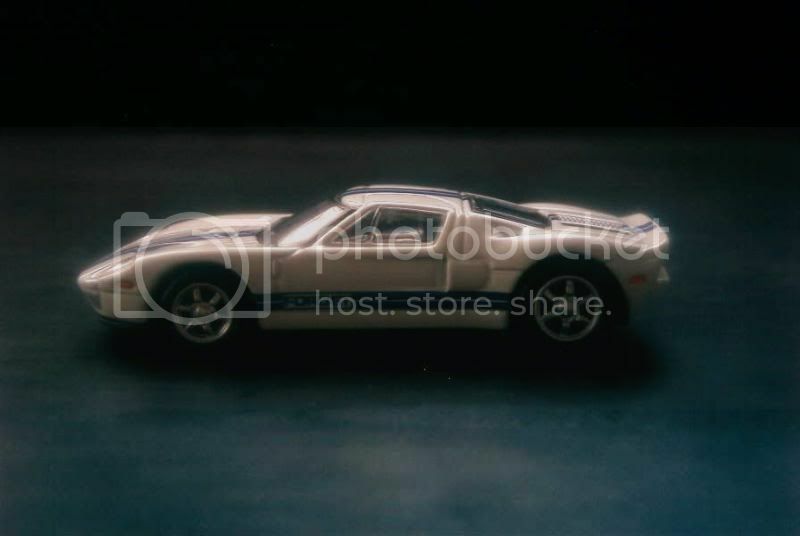 Finally named “GT” due to trademark ownership problems, this exclusive gran turismo coupe was designed as a limited-production image-builder, officially selling for a whopping $140000. In reality, Ford never even built as many GTs as it planned, and the very last one was sold in 2007. Interestingly, a few GTs returned to the racetrack, more than forty years after the legendary machine which they took their inspiration from. Rather detailed compared to other models within this Altaya series. Nice wheels, too. My rating is 14/20. This is exactly the same car as the previous one, but this time as seen by Del Prado. Unsurprisingly, overall quality is inferior to the Altaya/Ixo, but it remains quite good compared to other models distributed by the Italian company. My rating is 12/20. 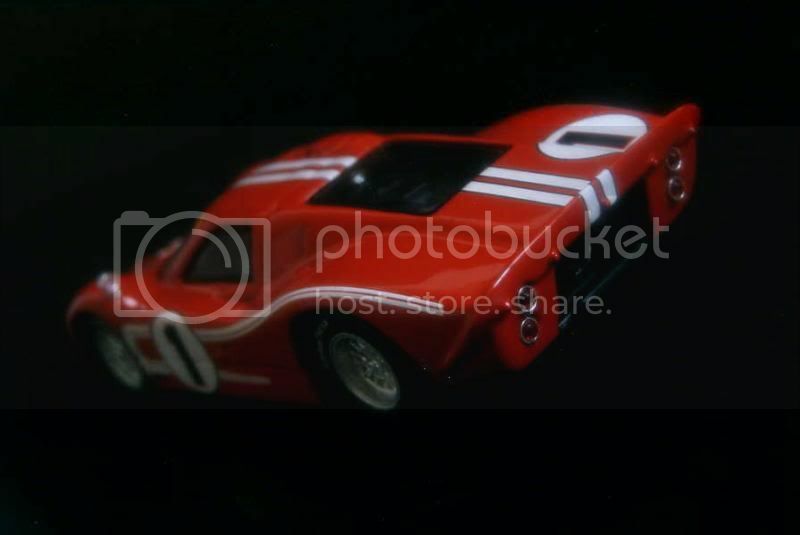 Here is a second works Ford from 1966. Though they set the fastest time in practice, Gurney-Grant's radiator forced them to retire. Altaya released this model in a later, more detailed series, so #3 ended up being even better than #2: I'd give 15/20 to it. 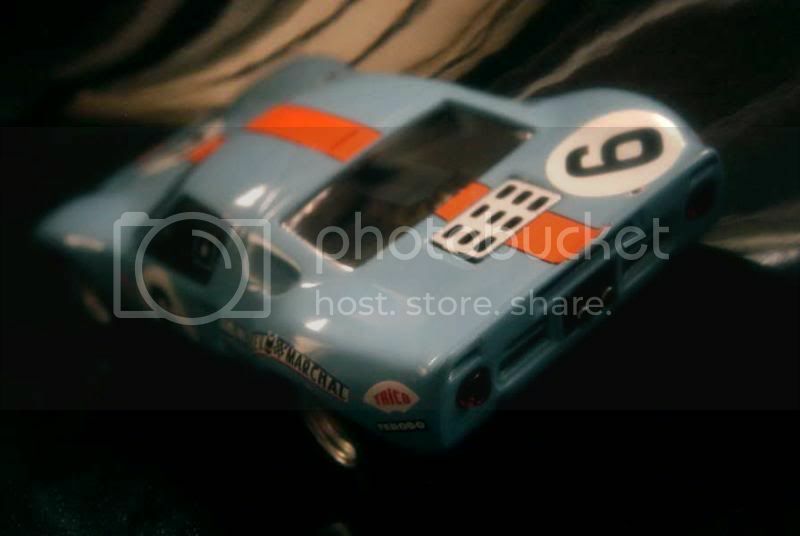 A nice model of the 1967 Le Mans winner: 13/20. 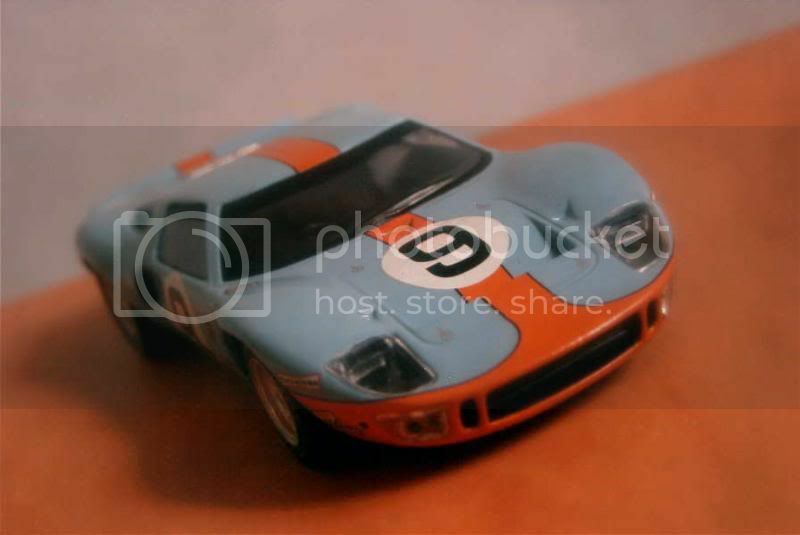 Ford's third victory at Le Mans was not the most joyful, as winner Lucien Bianchi learnt on the finishing line that his brother Mauro had been severely injured in the accident and subsequent fire of his Alpine. Another good die-cast by Ixo for Altaya, deserving a 13/20. One of the most extraordinary race in the Sarthe: after Ickx started last in protest against the safety flaws induced by the typical Le Mans start, he and Oliver won the race after a final sprint run to the finishing line. This time, the switch to the slightly more refined Monstres sacrés series didn't bring much improvement over the previous car, hence an identical 13/20 rating. Very correct rendition, despite the small size. My rating is 14/20. 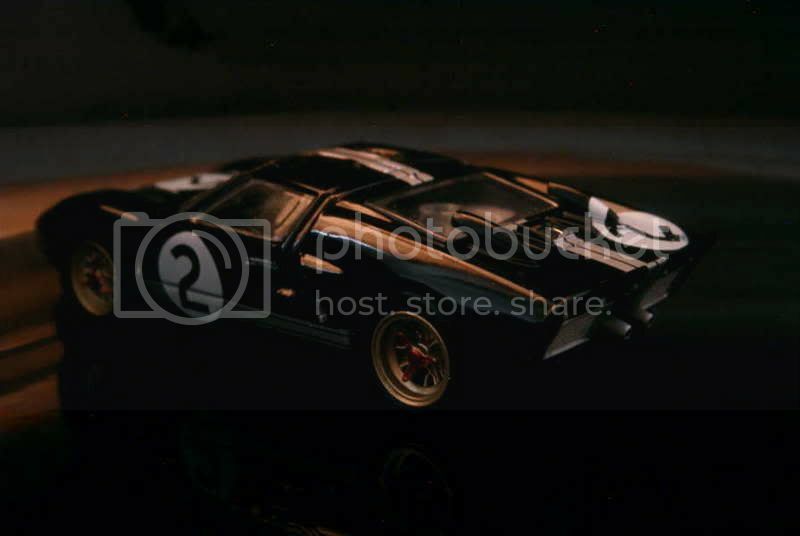 I´ve got all the models unless the last one. Hahaha yes I noticed that we often get the same models. As for the last one, this is not surprising as it's not 1/43. Thanks Manuel for your comment! 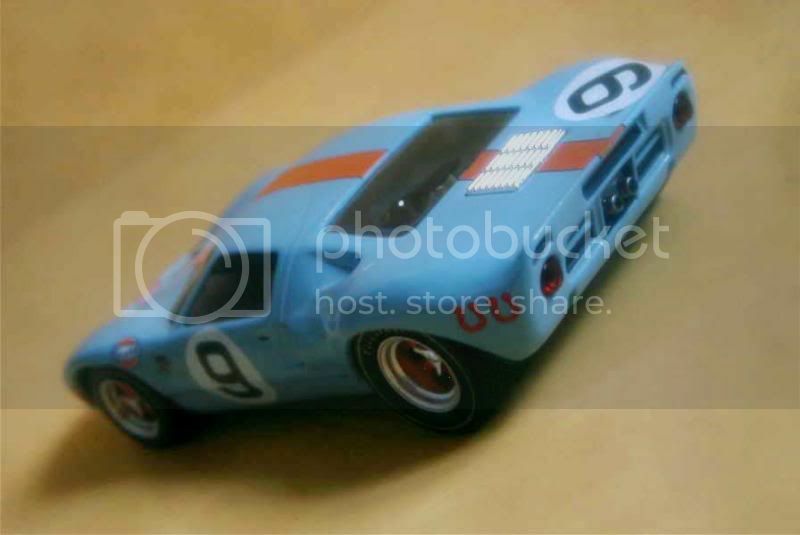 Lorenzo, look the GT 40 in our blog. Hello Tohmé and thanks for the info. I suppose that you're talking about the one on this page: http://minisnomundo.blogspot.com/2011/03/gt-40.html. Hey, this one is dirty all over! Just kidding, that's a wonderful model by Exoto (as usual). very nice the ixo/altaya models, you should try the italian bang models. as regards the last little one, I would give him a higher score, remember that it has as many details as the ixo but in such a little size! 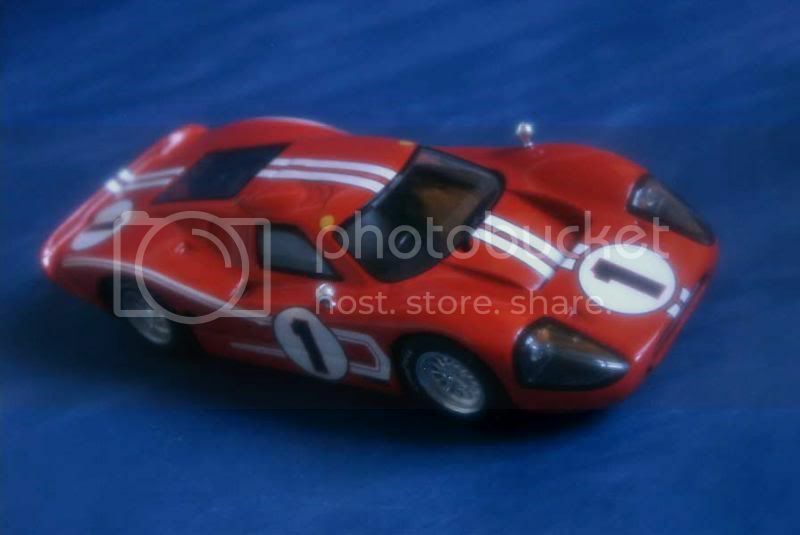 Regarding the "tiny" one, well, I admit that giving ratings for my 1/72 or 1/87 is sometimes extremely hard. Due to the lack of details at these scales, they're all very close to each others in terms of quality.